The "physics-based puzzle platformer" made its debut on the PC in 2016 at which time it only supported two player couch co-op. The console versions were released in May and December of 2017 and also supported two player couch co-op only, but in the middle of those console releases, the PC version got a free update that added eight player online co-op. The console players have been asking for that same update ever since. Foruntately, they only have to wait a few weeks more. Curve Digital and No Brakes announced this past Thursday that the eight player online co-op update will be coming to the PlayStation 4, Xbox One, and Nintendo Switch versions of the game on August 28, 2018. 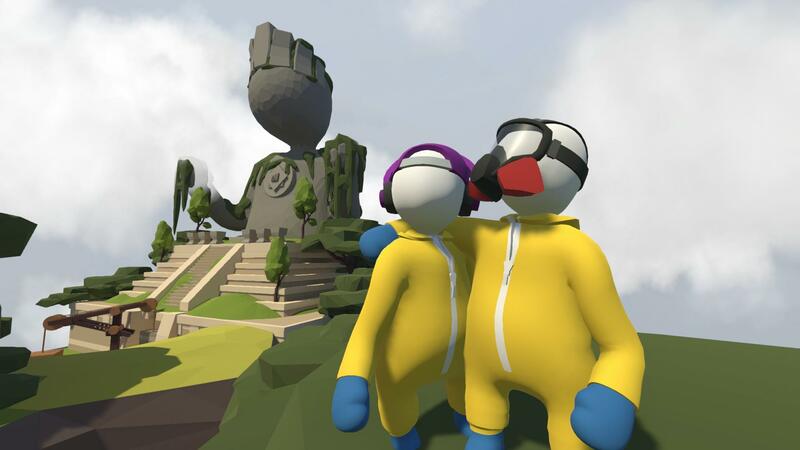 Human: Fall Flat is available on PC, PlayStation 4, Xbox One, and the Nintendo Switch. You can check out our Co-Op Review of PC version here. Page created in 1.1217 seconds.